Until the last few years, the numbers of people that hunt and fish have been dropping, so I am always curious about the numbers of hunters, anglers or other nature focused/off-pavement outdoor activities compared to other types of outdoor recreation. Why? Because we need more people (hunters and non-hunters) that care about wild places and wild things. According to the 2013 Outdoor Recreation Participation Report (ORP Report) (Download PDF), Hunting was the 12th most popular outdoor activity in 2012 with a total of 14.7 million participants. Table 1 includes the top 12 ranked outdoor activities by age class by millions of participants. As you can see, activities such as running, fishing, biking, camping, hiking and wildlife viewing all rank higher than hunting. Table 1 is sorted by the ranking for “All Ages” combined and shows a total of 15 outdoor activities so the top 12 activities for each age class are shown. The highest ranked activities for each age class are highlighted in gold and activities ranked lower than the top 12 for each age class are highlighted in grey. Age classes include: ages 6 – 17, ages 18 – 24 and ages 25 and up. Hunting ranked highest (10th) for the 18 – 24 age group and lowest (14th) among the 6 – 18 age group. Hunting also ranked 12th for the ages 25 and up. We need to recruit more young hunters, but it makes sense that hunting ranks lowest for the youngest age group. I most cases, hunters must be at least 10 – 12 years old to participate and depending upon age, may also require adult supervision in the field. Also, hunting may require travel that younger folks can’t arrange or afford without help. I know I never hunted much until I was able to drive. As example, a 10-year old may want to go hunting after school, but it is much easier for most of them to jump on a bike, a skateboard or shoot hoops in the driveway. Plus, I am not sure how the study factors in parental control vs. free choice for minors. Kids participate in activities with the family, but if given the choice may have done something else with their friends. The good news is that Hunting is ranked 10th for the Age 18-24 group. This young adult group is active and generally do what and when they want if they have the money. They are still more influenced by what the crowd is doing more than older adults. I find it interesting for this age group, that bicycling ranked higher than fishing and hunting was more important than wildlife viewing and RV camping. The 2013 ORP Report did not provide data for the 25 year old and older group but I was able to calculate those data by subtracting the two younger age classes from the totals. I wish this category were broken down into at least three more categories (young adult, middle age & retirees), because there are such huge differences as far as physical ability, free time and disposable income between these age classes. Unfortunately, there were only four categories used to measure hunting participation and activity in the 2013 ORP Report; rifle, shotgun, handgun and bow. To non-hunters, that might seem like a reasonable way to measure different hunting activities, but it is not. It makes more sense to investigate the different types of game and habitats being hunting than by the weapons used for hunting. For example, this study lumped the participation and days of activity of all rifle hunters together. But there are huge differences between hunting small game such as squirrels with a .22 and hunting elk with larger calibers. 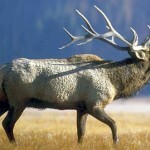 We also know there are huge differences in the activity required to hunt big game on public land in the West compared to hunting big game on private land in the East. 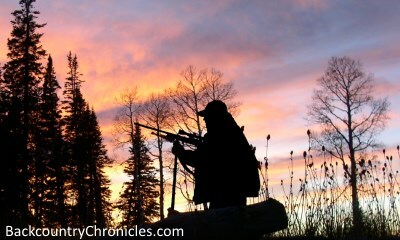 Hunting seasons for small game and for big game in the East may last for many months, while big game hunting season in the West may last only a week or so. So it is possible for a person to hunt small game for 50 days but a big game hunter may only be able to hunt for 8 or 9 days. 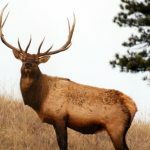 In addition to those differences, there are places in the East where deer can only be hunted with shotgun, while shotguns are banned for hunting deer and elk in most Western states. I don’t think the 2013 ORP Report is anti-hunting, but I don’t think they understand hunters or know much about hunting. They just want to sell outdoor gear to you. Luckily, for more detailed information about the different kinds of hunting activity, we can compare to the 2011 National Survey of Fishing, Hunting and Wildlife-Associated Recreation (by U.S. Census Bureau – download pdf), but more on that later. Who is the Outdoor Industry Association? The 2013 ORP Report was produced by the Outdoor Industry Association (OIA), so their main focus is marketing outdoor gear and clothing. They also lobby congress for to spend tax money on things such as “recreation infrastructure”, so more people can do more things outside so those people will need to buy more of their gear. They promote all types of outdoor activity because that is how they make their money. Getting more people to do more outdoor activities might be a good thing (read post – Only 48% Participate in Outdoor Activities), but many outdoor activities do not help wildlife or benefit hunting. The OIA is not anti-hunting, but despite their use of “green” slogans and buzzwords, they are not pro conservation, because growth automatically hinders conservation. That’s great if we only care about walking or riding on trails, but right now in my little valley, a new trail system is part of the unlimited development that is threatening the last winter range for mule deer and elk on my side of the valley. Every day I see animals being pushed around by oblivious people and unrestrained dogs. 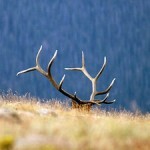 Mule deer and elk need access to areas where they can feed and conserve energy during the Winter. The Winter will kill them even when they have access to the best habitat. But we have already converted the best Winter habitat for our uses. Then on top of that add a few dozen runners, mountain bikes, 4-wheelers and dogs each day to chase them by accident or for sport. And then we wonder why mule deer populations are declining all over the West. Very little consideration is being given to the effect of “recreation infrastructure” on wildlife. We only hear that we “need more trails because our population is growing“. Why do We Need More Hunters? So why are running and bike trails being built is such critical Winter habitat? Because more runners and bikers vote than hunters (remember hunters are 12th place). And because hunters either need to be better educated about conservation needs or they need to be more vocal about their concerns. I can’t blame a runner or biker for wanting more trails, but they need to be educated so they have less impact on the wildlife. I do blame hunters (and that includes myself) for allowing it to happen without putting up more of a fight. We all know how this ends if we don’t start getting serious now. It will end the same way it has always has ended in the past. Every time the economy (AKA growth and/or development) runs up against conservation or the environment, the economy always wins. This will happen until all of our “little valleys” grow and develop until there is no place left to develop. Then old men will tell stories about how things used to be when the land was only partially developed and we had huge herds of deer and elk and clean rivers full of trout. But at least the next generation can enjoy their nice bike trails… At least until someone sees that as wasted space too.